Cholera is a bacterial infection. Certain bacteria cause cholera. 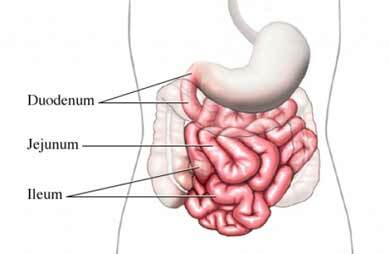 They grow and release a toxin in the small bowel. You get it when you drink water or eat food that had contact with infected human stool. Cholera is common in places that don’t have proper sewage treatment. Outbreaks still happen around the world. Diarrhea causes rapid fluid loss. Without care, cholera can lead to shock or death. The doctor will ask about your symptoms, and health and travel history. They may suspect cholera based on these facts and a physical exam. If needed, stool tests will confirm a diagnosis. The goal of care is to replace lost fluids. Rehydration solutions are available as an IV or by mouth. Antibiotics fight the infection and help you get healthy faster. Adults aged 18-64 years can get a vaccine. You may need it before you travel to places where cholera is common. If you don’t get the vaccine before you leave, you may have to take it when you arrive. Cholera. Centers for Disease Control and Prevention website. Available at: https://www.cdc.gov/cholera/general/index.html. Updated May 11, 2018. Accessed May 23, 2018. Cholera. EBSCO DynaMed Plus website. Available at: https://www.dynamed.com/topics/dmp~AN~T115474/Cholera . Updated April 26, 2018. Accessed May 23, 2018. Cholera. Merck Manual Professional Version website. Available at: https://www.merckmanuals.com/professional/infectious-diseases/gram-negative-bacilli/cholera. Updated April 2018. Accessed May 23, 2018. Cholera. World Health Organization website. Available at: http://www.who.int/en/news-room/fact-sheets/detail/cholera. Updated February 1, 2018. Accessed May 23, 2018. Farmer P, Almazor CP, Bahnsen ET, et al. Meeting cholera's challenge to Haiti and the world: A joint statement on cholera prevention and care. PLoS Negl Trop Dis. 2011;5(5):e1145. Harris JB, Khan AI, LaRocque RC, et al. Blood group, immunity, and risk of infection with vibrio cholerae in an area of endemity. Infect Immun. 2005;73(11):7422-7427. Ryan ET. The cholera pandemic, still with us after half a century: Time to rethink. PLoS Negl Trop Dis. 2011;5(1):e1003.